ComfortDelGro said on Friday that it is setting up a US$100 million corporate venture capital fund, called ComfortDelGro Capital Partners (CCP), to focus on technology start-ups that fill technology gaps and address disruptive changes in the core land transport business. The global fund, which will be managed on an arms-length basis, plans to focus on next-generation mobility companies raising seed stage Series A or B funding rounds, the transportation company said in a filing to SGX after the market close on Friday. “While we continue to pursue bolt-on acquisitions of our core land transport and related businesses, there is a need for us to develop and acquire new mobility technologies and solutions which will not only build on our strong foundations, but also enable us to branch out into new annexes,” Yang Ban Seng, ComfortDelGro’s managing director and CEO, said in the statement. Yang said the company wanted to boost its partnerships with technology start-ups by creating a way to eventually acquire or monetize them. ComfortDelGo said it wanted to focus on incubation and investments in mobile technologies and services to complement its land transport business and provide new strategic capabilities. It said it expected the fund to enable it to pursue “long-cycle opportunities,” in addition to its pursuit of investments that have more immediate profit accretion. 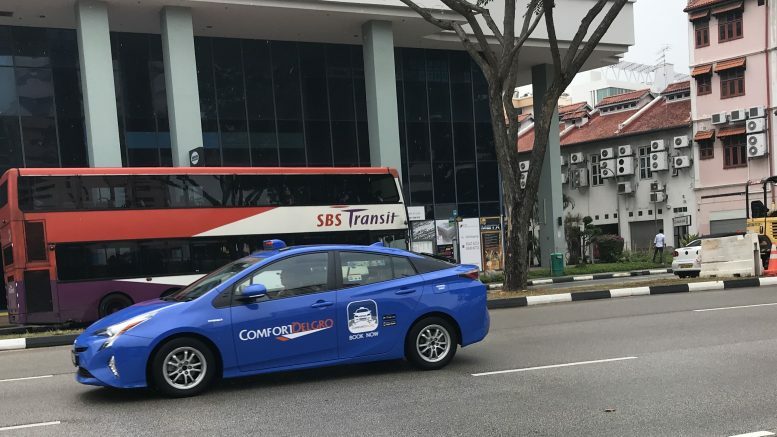 In its earnings statement released on Friday, ComfortDelGro noted that it had invested more than S$450 million in new acquisitions in Singapore, Australia, the U.K. and China so far this year, and that the company was seeking further deals.